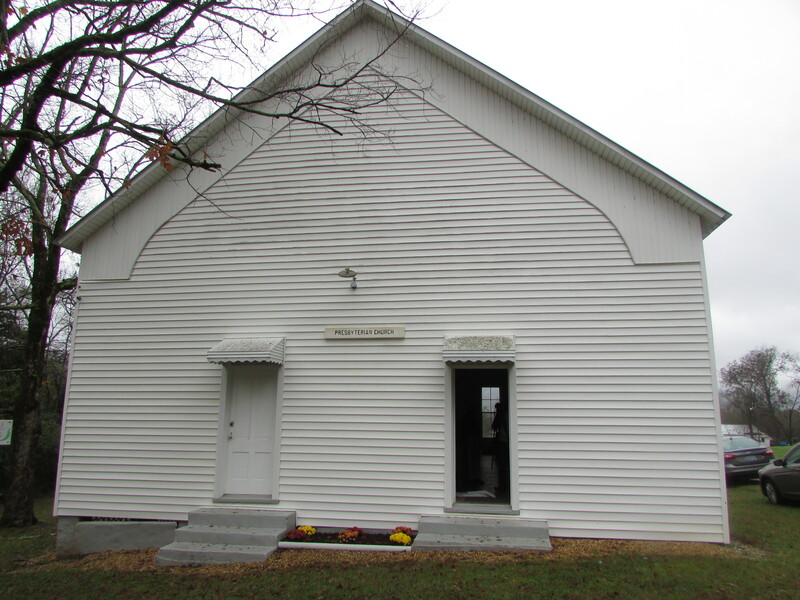 The small white wood-frame Presbyterian church building in the community of Trenton, Alabama, in the Paint Rock River Valley of northeast Alabama is the sort of simple church architecture I seek out in my travels. The church was built in 1903 and held its last service in 2008. The building’s current owner, Trenton native Jean Arndt, graciously opens it for community events. 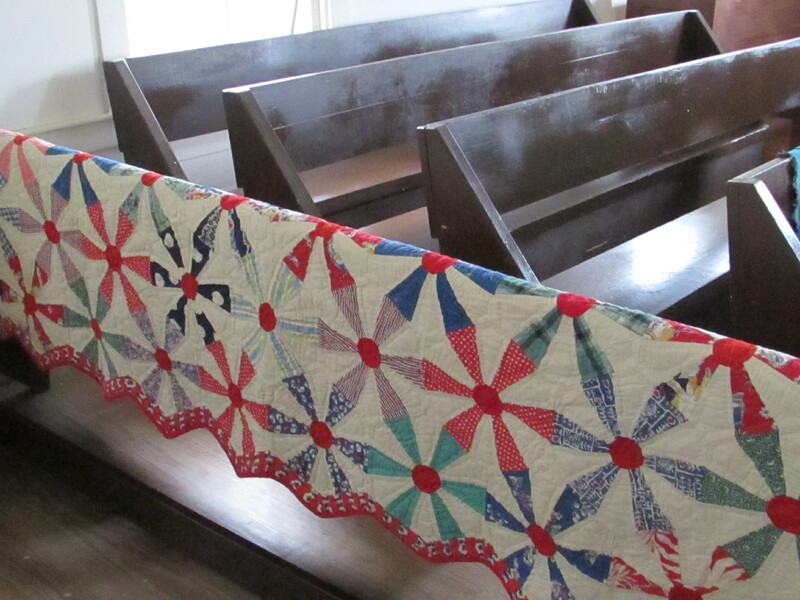 It no longer has heat and electricity; when I first visited in 2013 there were handmade quilts draped over each pew for the visitors to wrap themselves against the November chill. The ambience, along with the soft light filtering through the many windows, created a warm, cozy venue against a chilly rainy mid-autumn Saturday when I returned to Trenton Presbyterian Church for the second time recently. The event was the Heritage Harvest Festival 2015, part of the effort of my friend Judy Prince and her network of supporters to build and nurture community in the Paint Pock Valley. I travelled down early with three communication arts videographers – Howard Melton, Julian Johnson, and L’Debra Henderson – who are my students at Alabama A&M. We were there to shoot the event to provide video documentation. The bad weather caused the turnout to be small but the gathering was engaging and responsive. 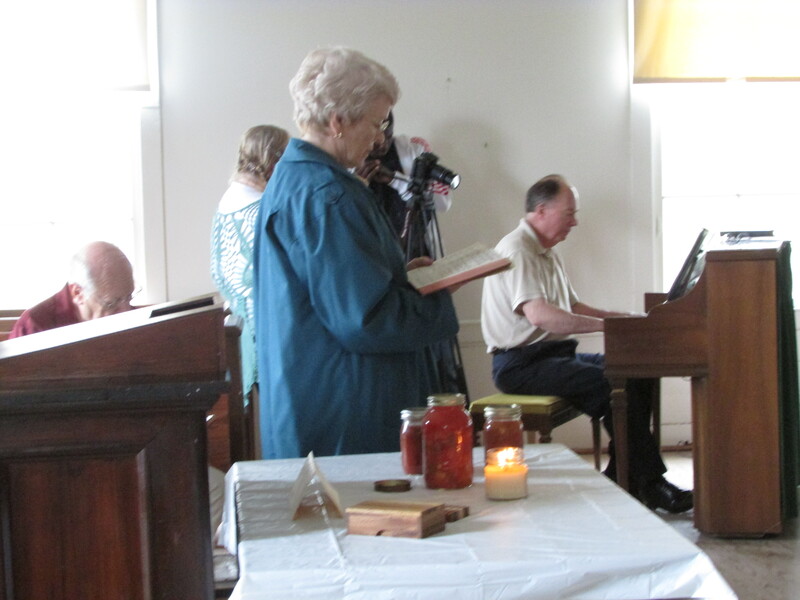 Musicians and storytellers were among those in attendance. 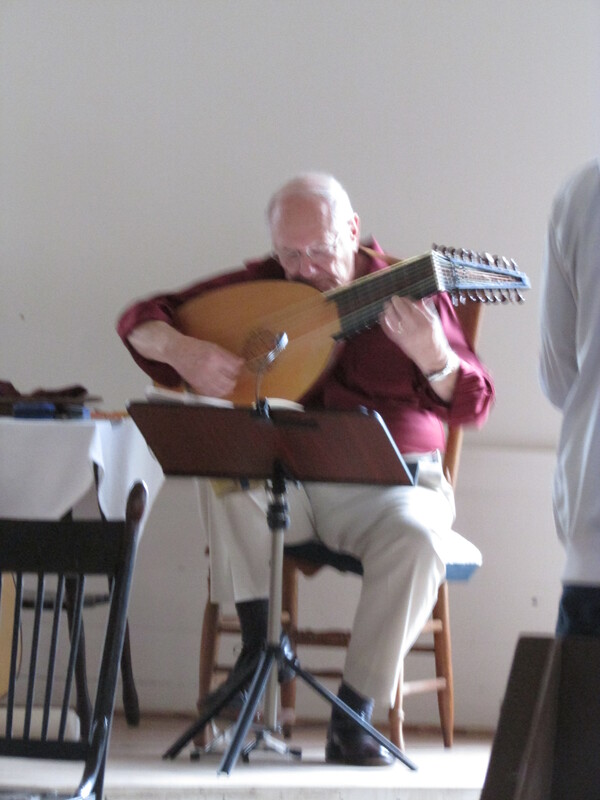 Trenton native Billy Smith performed a set of 17th Century Scottish tunes on the lute. His performance was prefaced with memories of his family and of growing up in Trenton. He also included a history lesson on the Moorish origins of the lute and the instrument’s adaptations over the years. 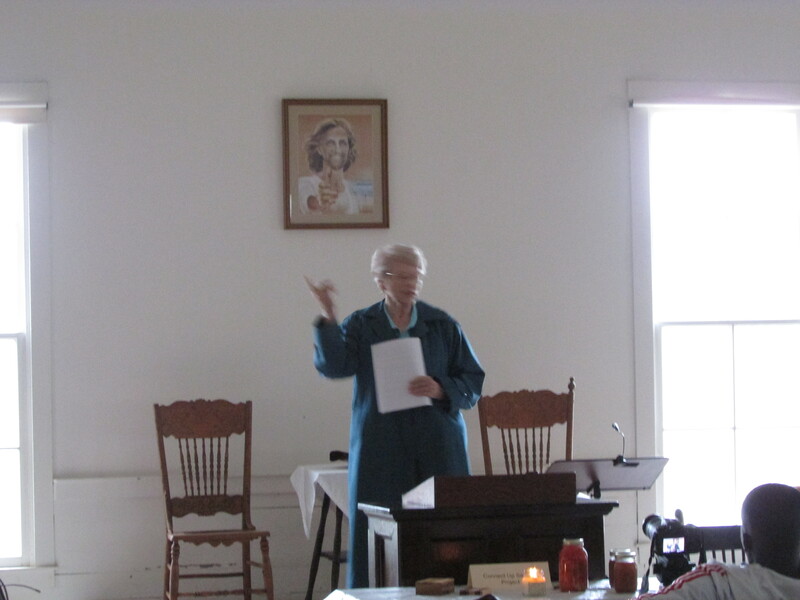 Jean Arndt gave an informative history of the church and her family’s generations-long affiliation with it. She had a particularly evocative account of car headlights illuminating her night-time baptism in the nearby Paint Rock River in the ‘40s. The area’s rich Native American history – particularly with the Cherokee nation – was remarked upon and Judy Prince gave her personal testimony about the history of the area and her efforts to build community throughout her life and career not only in the Paint Rock Valley but as a social worker and Civil Rights activist in Birmingham and Mississippi in the 1960s. 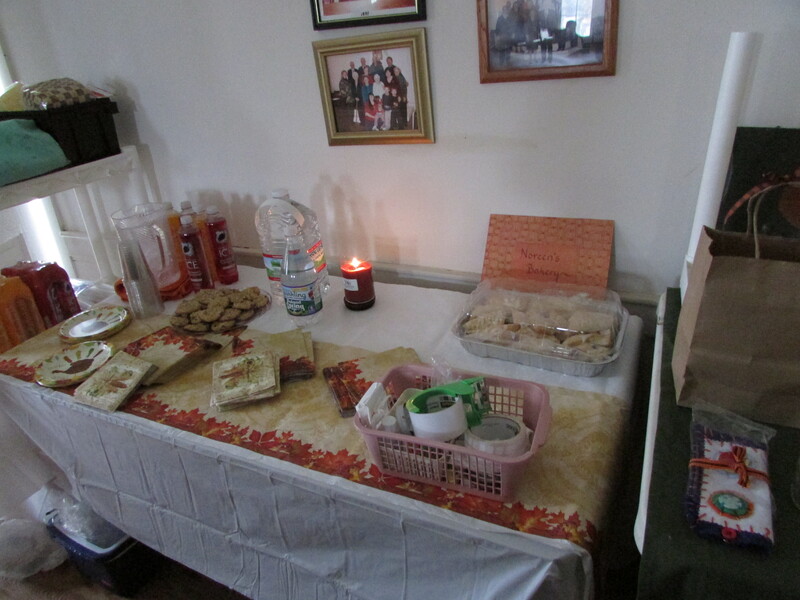 Observing the gathering, I realized that the goals of Paint Rock Valley’s cozy harvest gathering have much in common with the recent Friends of the Café dinner I attended at the Alabama Chanin factory in Florence. Although these were very different proceedings, each sought to bring diverse communities together to build a unified and productive whole. A theme of the Florence event was a celebration of handmade items and locally grown and sourced foods and the concept of the “maker” in all of its incarnations. Similar themes come to play in the efforts of Judy and others in the Paint Rock Valley. The burgeoning revivals of handcrafted and farm to table, the various “roots” movements, and the call to be better stewards of the land and our natural environment are themes that Paint Rock Valley and Alabama Chanin have in common although each comes at it from a different place. While Alabama Chanin originates with a Shoals-based fashion designer, Judy Prince’s Connect UP efforts find focus in a rural and comparatively isolated valley along the lyrical Paint Rock River. Driving down to Birmingham on Saturday afternoon, I mulled the lessons and similarities of these two discrete but intricately related gatherings. The links are clear and the aims are the same. It is up to all of us to make the connections. It may be the case that with increased awareness, participation, and attention to the honest and talented people in and from Paint Rock Valley, Paint Rock Valley’s time in the spotlight may be imminent. 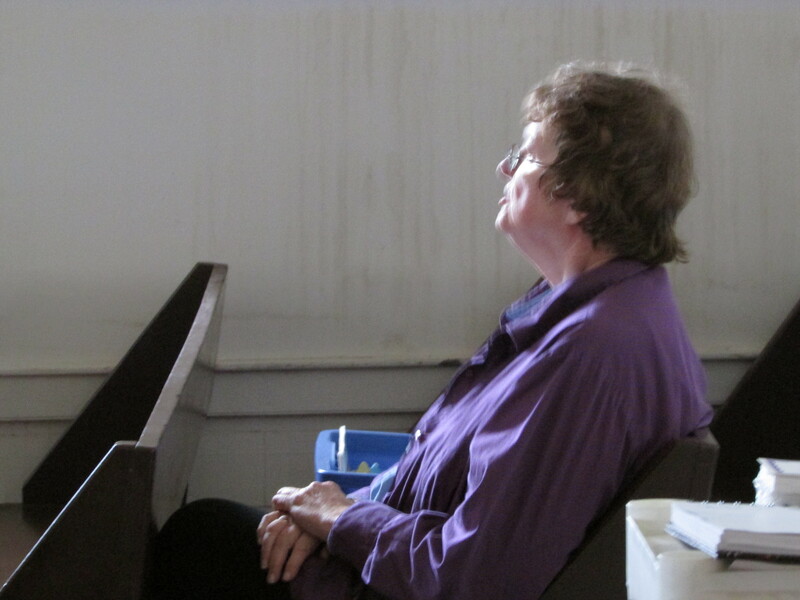 Community activist Judy Prince is pictured above. More information about the Joys of Simplicity Wellness Adventures and the Connect UP Program may be found at Judy’s website, www.tinyurl.com/lutybme. This entry was posted in Paint Rock Valley and tagged Alabama A&M University Communication Arts, Alabama Chanin, Alabama folklife, Billy Smith, Connect UP Program, Jean Arndt, Joys of Simplicity Wellness Adventures, Judy Prince, Natalie Chanin, Paint Rock River, Paint Rock Valley, Randy Jones, Trenton (AL) Presbyterian Church, Trenton Alabama on November 10, 2015 by gedwardjourney.